Speedgolf, a rapidly growing sport, is scored by adding the player’s number of shots to the total number of minutes taken to complete the round. 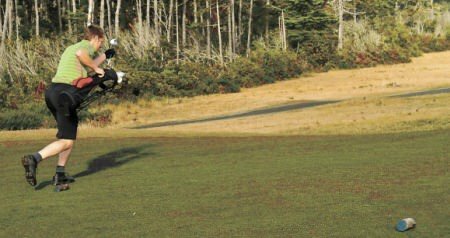 Robert Hogan sprints off the tee en route to seventh place in last year’s World Speedgolf at Bandon Dunes in Oregon. Hogan topped the leaderboard with 85 shots in an incredible 44 minute 58 second round - for a speedgolf score of 129.58 - winning the $10,000 first prize. 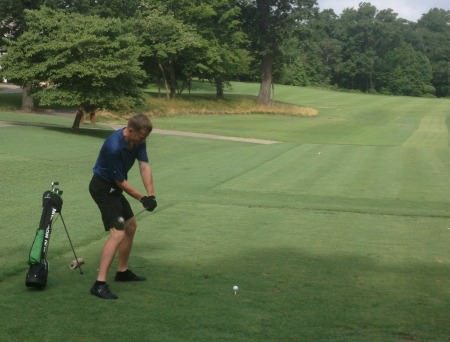 The event raised $130,000 for the First Tee Foundation in Richmond and attracted news coverage from NBC and the Golf Channel. Players are entitled to carry the regulation 14 clubs but Hogan shot his 85 using just six. 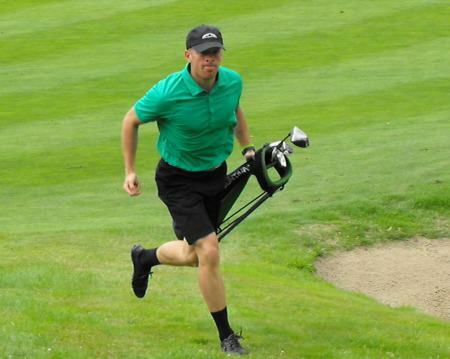 At a time when golf’s major organisations are battling to encourage golfers to play faster - the While We’re Young campaign promoted by the USGA is a case in point - Speedgolf might just be the perfect reminder to club golfers everywhere to get a move on. Mark Staunton soared more than 40 places to third on the Lexus Race to Mount Juliet in association with Ping after sealing a one-shot victory winning the Irish Club Professionals’ Tournament at Dundalk. Staunton laid the basis of victory with a four-under-par 68 in Wednesday’s opening round and added a level par 72 second time out to finish one stroke clear of Glen Robinson with Robert Giles a further stroke adrift. Nicklaus on Rory's step back from pressure: "You just don't get it back that fast"